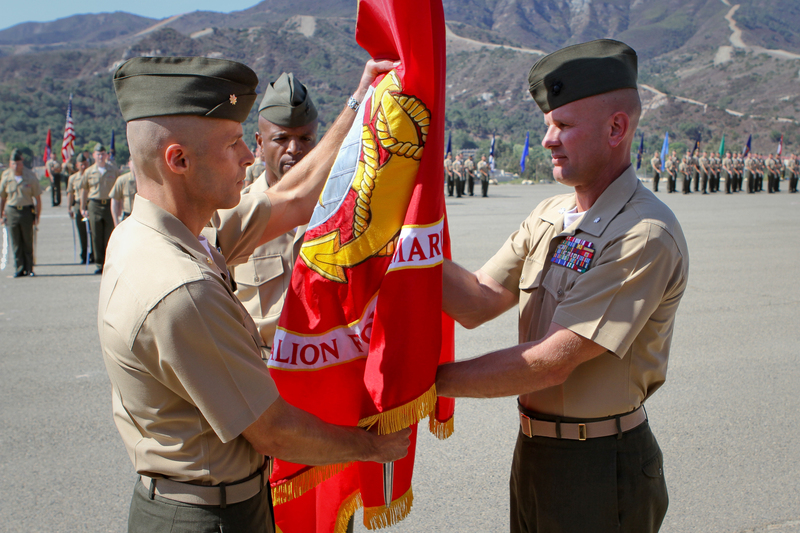 The Marines of 1st Battalion, 4th Marines, welcomed a new boss in Maj. Christopher J. Bronzi during a Sept. 6 ceremony at Camp Pendleton’s Camp Horno. Bronzi, 39, of Poughquag, N.Y., deployed to Afghanistan and served as operations officer with 1st Marine Regiment and Regimental Combat Team 1. A 1996 U.S. Naval Academy graduate, he received the Silver Star for his actions leading his men in battle over two days of heavy fighting in Iraq’s volatile Sunni Triangle in April 2004. Bronzi, then a captain, was commanding Golf Company, 2/4, through the intense deadly battles with insurgents April 6-7 in Ramadi, Anbar province’s capital city. A year later, Bronzi received the Leftwich Trophy, a coveted award given annually to an infantry officer for outstanding leadership. It’s named for the late Lt. Col. William G. Leftwich, the 1st Reconnaissance Battalion commander who perished in Vietnam in 1970 when a helicopter crashed on a mission to extract a recon team from enemy territory.